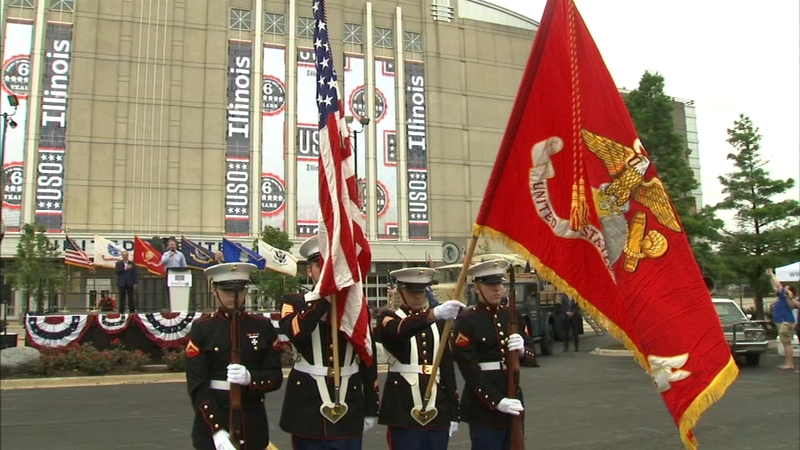 CHICAGO (NEWS RELEASE) (WLS) -- The Chicagoland new-car dealers are once again on a summertime mission to raise awareness and funds for local military and their families. For the sixth consecutive year, the Chicago Automobile Trade Association (CATA) and its dealer members have partnered with the USO of Illinois to host "Barbecue for the Troops" community fundraising events spanning Chicagoland on Saturday, July 14, 2018. To find the full listing of CATA dealer USO Barbecue for the Troops fundraisers, visit www.DriveChicago.com. BBQ for the Troops event raises awareness and funds for local soldiers and their families. 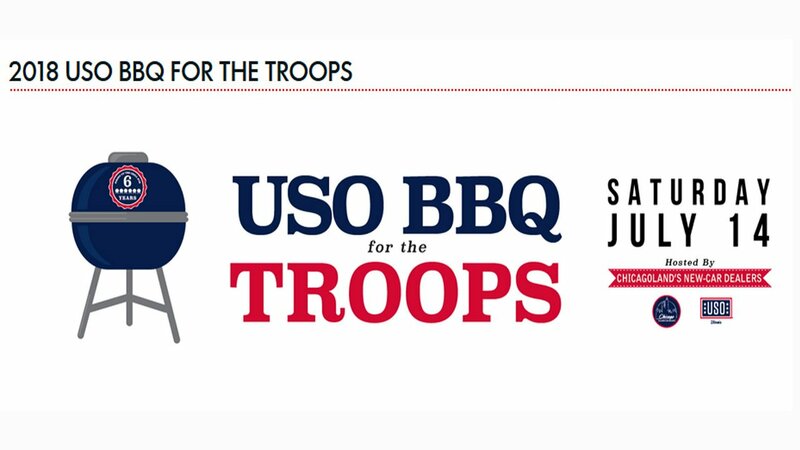 "The USO of Illinois is proud to announce, for the sixth year, we will partner with the Chicago Automobile Trade Association and local new-car dealerships for the USO Barbecue for the Troops program. These dealerships, your neighbors, dedicate their time and resources to this program that honors the service of our military and military families and they are committed to rallying their hometown communities to join them for local BBQ fundraisers throughout the month of July," said Alison Ruble, president and CEO of the USO of Illinois. "As friends, family and neighbors fire up their grills this summer, we must pause to reflect on the service and sacrifice of the men and women of our U.S. Armed Forces; to honor those who have gone and to thank those who currently serve." This year, Turtle Wax is a special program partner in the CATA/USO BBQ for the Troops fundraising efforts. "We're happy to have Turtle Wax join the program and provide even more motivation for residents to visit our dealerships. By providing us with more than $5,000 in additional car care giveaways at a dealer event held in May, we have another great incentive for our events," said Guido. The CATA and USO of Illinois plan to carry the message and maintain momentum throughout the month of July. For example, all month long, dealerships will offer to collect loose change from customers' cup holders when they visit for service. Additionally, beginning July 1, people will be encouraged to submit a photo along with a caption describing why they or someone they know should win the "Ultimate Backyard BBQ" as part of the #BBQ4Troops social media contest. Real Urban Barbecue head chef will personally cook up barbecue fare for the winner and 50 friends...make that 51 because Chicago Blackhawks alumni Brian Campbell will make a special appearance. Turtle Wax will also contribute a grand prize package included in the winning prize that goes to the Ultimate Backyard BBQ winner at the backyard event.